Did you know that at least one septillion snowflakes fall every year? That’s 24 zeros! And since each one is unique, snoflakes easily became the inspiration for this year's window display theme at Anthropologie. Embracing the spirit of the holidays, the windows put on display fluffy and sparkling crystals, tapping into memories of playing in the glistening snow and catching snowflakes. 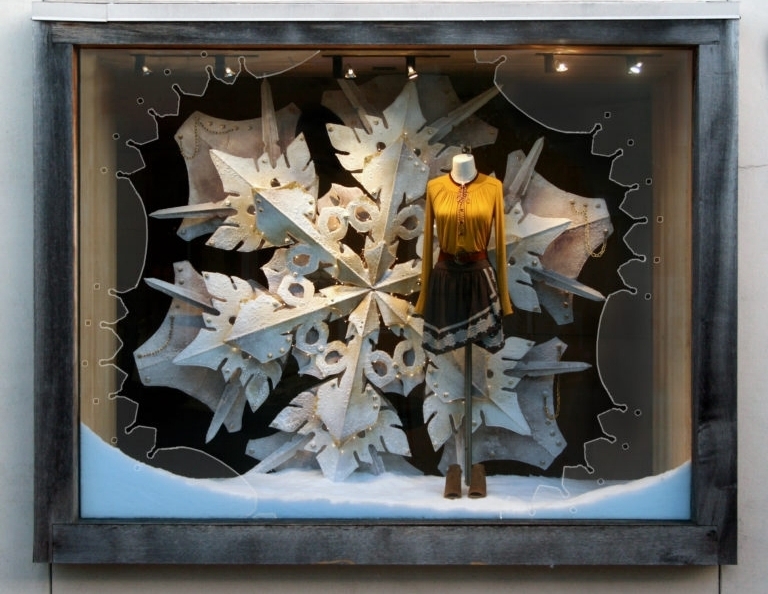 Anthropologie's visual team was inspired by the snowflake’s natural structure, which comes in different shapes and sizes. Depicting it on a larger scale allowed them to communicate the uniqueness and delicacy within each individual crystal. The layering and stacking of foam material adds dimension, and frosty surface treatments give the illusion of ice and snow. In an effort to preserve the true lightness of the snowflake, the team was careful in its color choice and limited the color theme to softer shades. The palette is all about window whites, hints of metallic, and in some scenes, pops of jewel tones. Join us in celebrating the holidays and stop by your local Anthropologie store to see the beautiful displays in person. 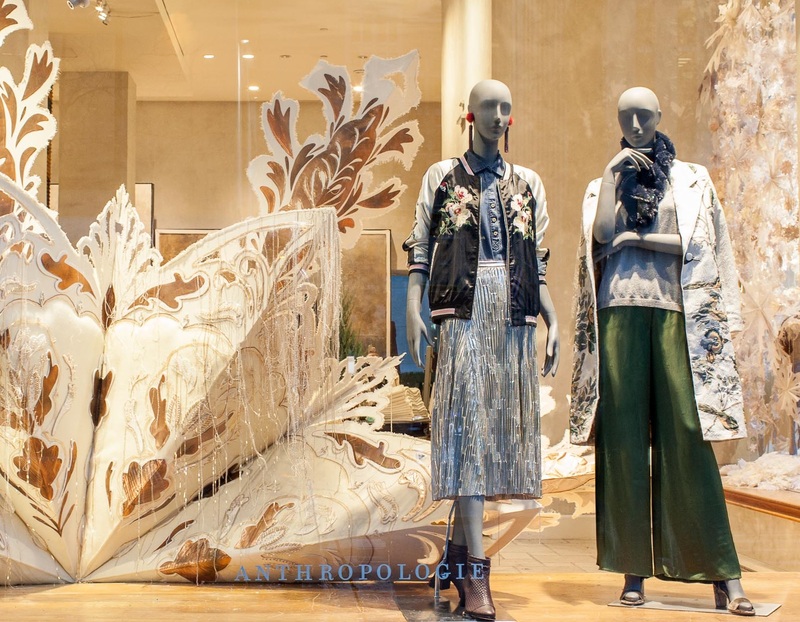 Remember to use #AnthroWindows to share on Instagram. And don’t expect to see the same snowflake in every window because just as each snowflake is beautifully unique, each window display is too! Click here to check out other Anthro window displays.